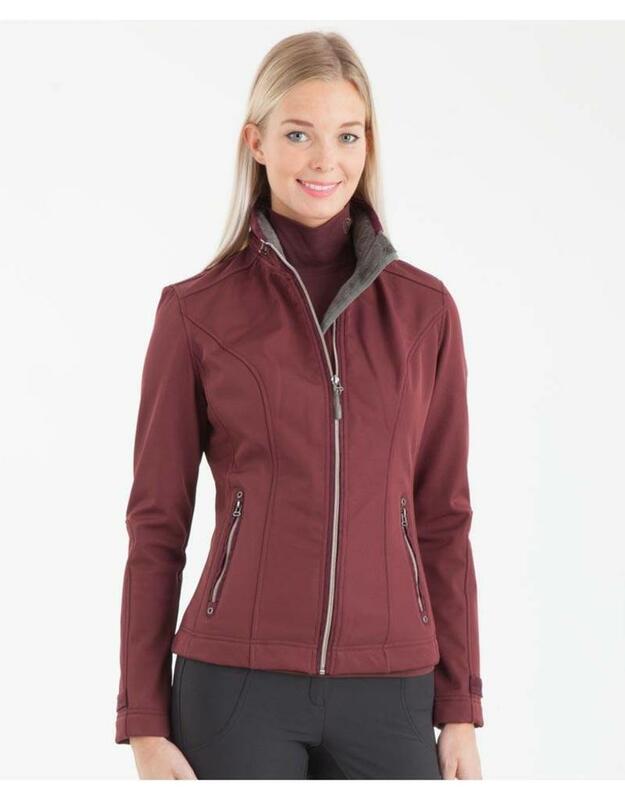 This comfortable jacket is made of water-resistant soft shell and has a roll-up hood in the collar. The jacket has a feminine shape and features suede details. At the back is the bottom hem with ribbed which ensures a good fit.